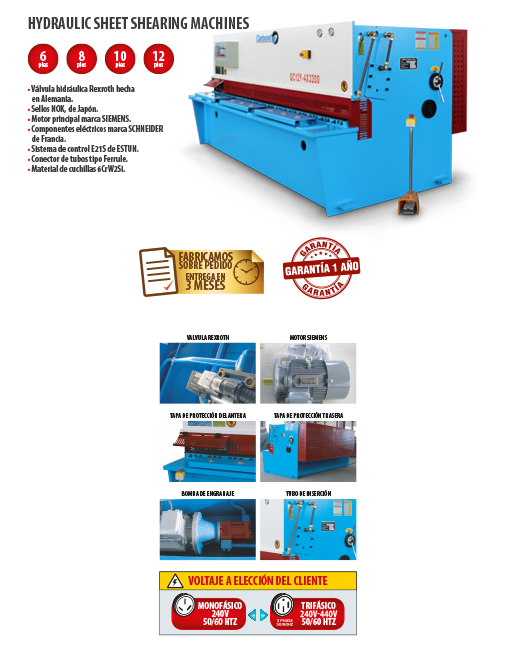 Carbone Costa Rica - Hydraulic Sheet Shearing Machines in Costa Rica. 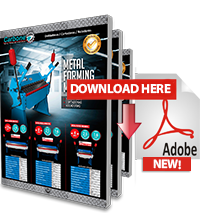 Carbone Costa Rica introduces its new line metal forming machines includes a variety of hydraulic sheet shearing machines with a range of widths for cutting sheets from 6 to 12 feet wide. Equipped with Rexroth hydraulic valve made ​​in Germany, NOK seals from Japan and a SIEMENS main engine. SCHNEIDER electrical components from France and Ferrule type connector tubes. Its ESTUN E21 control system with blades of 6CrW2Si material and gear pump.